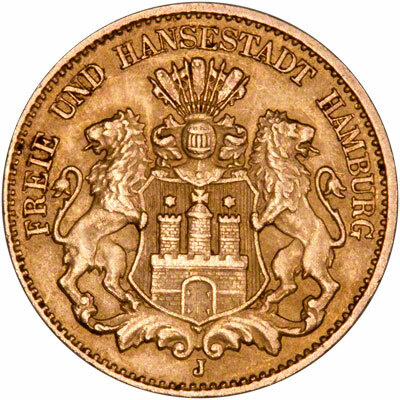 Hamburg is a port in the north of Germany on the River Elbe, about 75 miles from the North Sea. 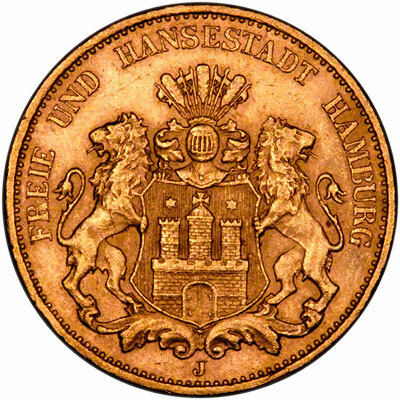 It was founded by Charlemagne in the 9th century, joined the Hanseatic League in 1241, was formally declared a free City in 1510, joined the North German Federation in 1866, became part of the German Empire in 1871, but continued to issue its own coinage until about 1913. 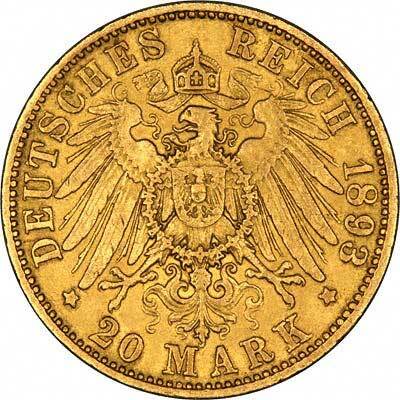 It never issued large quantities of gold coins compared with Prussia, so they only turn up relatively infrequently. 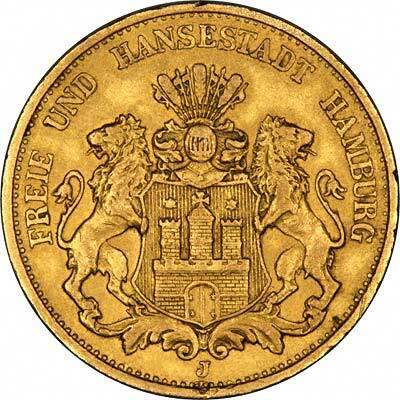 (Free and Hanseatic City of Hamburg). 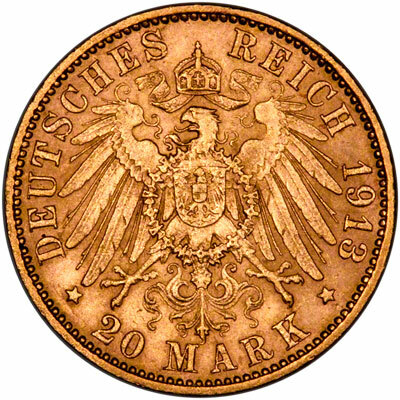 We never have Hamburg 20 marks in quantity, only Prussia ones. 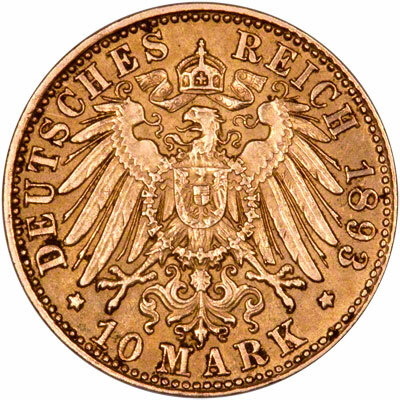 Please see our Germany page.